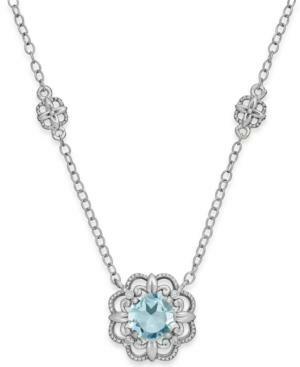 Light and bright, this pretty pendant necklace flaunts round-cut aquamarine (3/4 ct. t.w.) highlighted by sparkling diamond accents. Crafted in 14k white gold. Approximate length: 18 inches. Approximate drop: 3/8 inch.